In 2018, brands should be investing more time and money into fostering customer loyalty. Winning new customers is important to grow a business, but keeping existing customers satisfied and loyal is crucial to a brand’s success. What are the drivers of brand loyalty?What keeps customers coming back? Which brands are leading the pack? 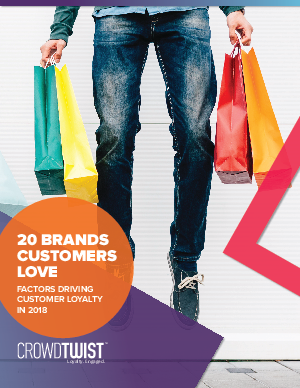 In this e-book, we’ll highlight 20 brands that are investing in the brandcustomer relationship to deliver the high-quality products and services that create the exceptional customer experiences that drive loyalty.